We provide home purchase loan expertise for first time homebuyers with a significant opportunity with cost-effective home mortgages. FHA recently added some unique feature to the section 245 home loans for homebuyers with rising income. 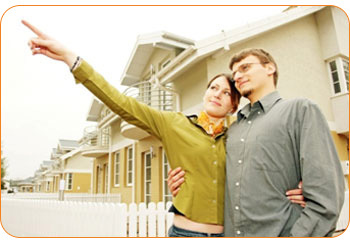 FHA introduced the Growing equity mortgage loans that were created for first time homebuyers. These likely homebuyers are often not in a position that would warrant them being able meet the many upfront and monthly costs that are involved. Millions of 1st time homebuyers made their first home purchase with a FHA loan. According to Hud.gov, there are five Graduate Equity Mortgage programs. Each loan provides for the monthly payments to be increased by a fixed percentage during each year of the loan. For the first year, the monthly payments to principal and interest are based on a 30-year level-payment schedule. Thereafter, the amount of the monthly payments duefor the next twelve months will increase each year by between one percent and five%, depending upon the plan selected. The actual term of the mortgage will not be more than twenty two years and may be less, depending on the GEM plan used and the interest rate. As part of its effort to streamline and terminate obsolete programs, HUD is considering eliminating growing equity mortgages and removing its regulations. Home owners must also have at least 3% equity in their property. This means that in order to borrow the FHA insured maximum amount of $362,790, the property would have to appraise for at least $374,000. The borrowers have to document their income and employment and their proposed payments must be less than 43% of their gross income after monthly expenses like car payments and credit card bills. Before you begin the mortgage process online, we recommend that you gather the following information listed below to ensure the shortest possible loan process. Because of dropping property values and high adjustable rates, many consumers are inquiring about the FHA Secure that helps homeowners avoid a foreclosure. FHA Loan Blog - Read, Comment and Post Questions about Home Buying and Loan Refinancing.